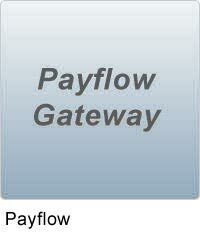 Payflow Pro is a powerful and scalable payment processing solution for larger ecommerce websites. It also has the flexibility to allow for offline payments through a virtual terminal interface. Payflow Pro is recommended for merchants who need a high level of performance and direct control over collecting credit card payment on their Web site. VeriSign Payflow Pro also allows you to accept and process offline orders using a virtual terminal. The fully customizable way to get paid securely. Accept credit cards, debit cards, more. Plus accept PayPal too (U.S.only). Optimize the customer experience by letting shoppers complete the checkout process without leaving your website. Integrate easily. Payflow Pro is pre-integrated into many shopping carts. At Your Online Store, your customer is ready to pay. Checkout is completed securely on Your Online Store Checkout page. You get paid in seconds. Industry-leading security with transaction processing secured by 128-bit SSL encryption. Plus, PayPal meets the exacting standards of the major card associations, including SAS, PCI, and SDP. Flexibility by working with any major payment processor and over 200 popular shopping carts, so you can make the right choice for your business. High-volume processing capacity. Built on a robust infrastructure that handles over $100 million USD daily, you can feel confident, even during the busiest times. Virtual Terminal lets you accept payments by phone, fax, or mail. PayPal Manager makes your life easy by letting you manage your whole system in a single place, including approving or rejecting orders, issuing refunds, and running reports. Easy to Implement and Use: VeriSign Payflow Link integrates easily with your existing web site, requiring no further installation or configuration. Authorizes, manages, and can support all major credit cards, debit cards, and guaranteed electronic check purchases.